The House passed Gov. Charlie Baker's bill on Monday morning less than an hour after it cleared the House Committee on Ways and Means, and the bill ping-ponged between the branches until it was enacted and ultimately signed by the governor. 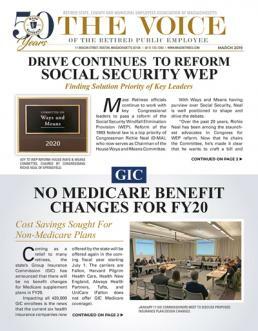 The merger of Pool 2, which includes retired teachers and a small group of elderly government employees, became a priority after GIC Executive Director Roberta Herman and her staff informed their board last month that without action about 955 retirees in Pool 2 would have to switch health plans and absorb premium spikes of 30 percent to 80 percent beginning on July 1. During the last reprocurement only one insurer – UniCare – bid on the business for Pool 2, limiting choices for members and potentially requiring many employees to switch plans. The merger of Pool 2 with Pool 1, which includes 97 percent of the more than 440,000 state employees and retirees covered through the GIC, is not expected to materially change the rates offered to Pool 1 members. Herman told lawmakers last week that the commission needed to have the bill signed by last Friday in order to properly prepare members for the start of open enrollment on April 4. Asked Friday about a Plan B since the bill had not cleared either branch, GIC officials said they would adjust their communication strategy with members, but remained confident the Legislature would address the issue quickly.